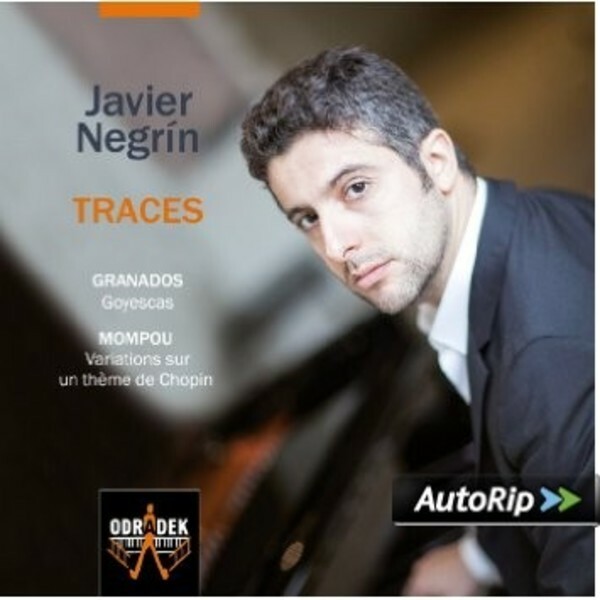 The Spanish pianist Javier Negrín has long been fascinated by the Goyescas of Granados - both by the music and by the art which inspired them - and this fascination has informed his own interpretation of the pieces on this disc. Here they are coupled with the brillliant but much less known Varations sur un thème de Chopin by Mompou. In the Goyescas, Granados fused the music of Spain, especially Castilian music, with traits from more remote origins, including the Italianate elegance of Scarlatti, who in turn had been enchanted by Spanish folk song. Reflecting Goya’s paintings, these pieces explore light and shade, love and death, ranging from playfulness to aching longing to simmering passion. More rarely heard, Frederic Mompou’s wonderful Varations sur un thème de Chopin are deserving of a wider audience. While Granados embraces Goya’s palette in his vivid depictions, Mompou’s tracing is of a different kind: he draws musically on Chopin’s ideas, but on his own, opaque paper. What emerges is an original account of Chopin’s music, presented in a different light.